Ever try to describe your team or your company in just one word? Well we thought we’d try that little exercise as we updated our website so we could introduce ourselves in a simple summarized manner. We thought it was going to be a tough exercise. You know, trying to get a large group of people who are scattered across the globe to not only come up with the perfect word, but to all agree on it unanimously. We are passionate about making a difference for the clients we serve – helping them perform in the face of the pressure they face, provide learning and training to improve their performance and leadership, and make a difference in their personal lives. Bet you’re dying to meet us now. Tomer Strolight comes to the IHHP with over 20 years experience as one of Canada’s most seasoned and successful digital media executives. He has extensive experience and a proven track record of identifying high growth opportunities and leading teams to success in those areas. He has worked with many entrepreneurs and executives in those areas to take them to leadership positions versus global competitors. Prior to joining the IHHP, Tomer had been president of Torstar Digital where he played an instrumental role in the creation and growth of its portfolio of ventures. He has also spent time as Chief Technology Officer of Workopolis.com, Managing Director of Corporate Development at Torstar Corporation, and Executive Vice President at Square Victoria Digital Properties as well as having served on several boards of directors. Tomer’s passion for understanding the science behind exceptional leadership and the practice of it has been a continuing pursuit of his for over 20 years. It is this that has brought him to the IHHP to further his knowledge of the subject and share his experiences about it with us. In 1998, JP and Elizabeth Pawliw-Fry decided to leave their previous academic and clinical careers and start IHHP. While the first few years were difficult as they focused on putting together some of the early research, training and coaching programs, today they are proud of what the IHHP team has accomplished. Now JP spends most of his time spreading our message of human potential through keynotes and consulting and the rest of the time partnering with researchers to explore new areas of potential. To learn more, click here. Bill had been a friend and client of IHHP for many years, and he liked the company so much he not only joined it, but he became a partner over 20 years ago. It was his strength in sales that helped to catapult IHHP to where it is today. Bill has a degree in Mathematics with a major in Computer Science, and is the guy we always need to “prove the facts” to in our research into human potential! (i.e., “I’m not bringing this to my clients, if you can’t prove it will help them!”) Today, besides working closely with key clients and our team of Leadership Consultants, Bill also spends his time spreading our message through keynotes and facilitation. To learn more, click here. Cranla joined the Institute for Health and Human Potential (IHHP) in December 2009, first contributing as Director of Learning Solutions and now as Vice President of Leadership Development. As a lifelong student of human behaviour, an individual/family therapist turned organizational psychologist, Cranla believes that a strong foundation of Emotional Intelligence (EI) builds great leaders, fosters employee engagement and creates great places to work. She has a wealth of knowledge and professional experience in the areas of team-building, leadership development, coaching, and strategic business execution. Cranla holds a Ph.D. in Organizational Psychology and a Professional Post-Graduate Certificate in Leadership. Prior to joining our team, Cranla worked at Eli Lilly Canada Inc., where she honed her strategic business skills and leadership capabilities in their Continuing Medical Education and Sales divisions. She also has 10 years of experience working in the healthcare sector. Cranla is an accomplished leader, coach and mentor and understands the needs of our clients across all sectors in her support of helping them to “show up”, lead, and drive results. Cranla believes that success is defined by an ability to truly listen, connect, and collaborate; it all starts with aligning your intention with your impact. Sandra came to IHHP with over 20 years of experience creating and implementing strategies that drive value for the customer, employees and all stakeholders, She is passionate about driving a data driven marketing culture that thrives on innovation, agility and performance. Sandra’s passion for implementing Emotional Intelligence in the workplace brought her to The Institute for Health and Human Potential in 2016 where she currently leads the marketing and product teams. Sandra’s prior marketing and product experience include roles at large global companies as well as entrepreneurial organization as well as running her own consulting practice which included one of her favourite gigs as business consultant on CBC’s Dragon’s Den. Why Contact? Phae will be the first voice you hear at IHHP when you call us. She will help you navigate through our curriculum to best suit your learning objectives and unique organizational needs. As Manager of our Public Programs, Phae can answer any questions you may have regarding our open enrollment programs. program design and development, mentoring and being a life-long learner. Her most recent role was as President of Eagle’s Flight, an experiential learning design company. Her unique brand of facilitating combines common sense, academic knowledge, practical application, a passion for people and a drive to create results. She has worked with groups of 6 executives, needing truth and direction, to 450 sales people at a conference. She has worked in almost every state in the U.S. as well as Brazil, Korea, Australia, South Africa, New Zealand, France, Spain, Ireland, Panama, Egypt and Bulgaria. Sue has worked with companies like Marriott, Wells Fargo, Disney, ESPN, Benjamin Moore, J Crew, & Verison. Sue did her undergraduate work at Arizona State University. She has a Masters degree in Human Development, and another in Counselling. Chris is a Corporate Trainer and Facilitator specializing in team and personal development. She has devoted her entire career to the development of human potential. Chris holds a Bachelor’s degree in Psychology focusing in Organizational Behavior and Leadership. Relying on experience gained from all levels of the training process — from customer management to delivery and evaluation — she works in partnership with a wide range of clients and organizations all over the globe to design, develop, and deliver professional programs from 5 people to 500. Her infectious energy and relentless inquiry push participants to want to learn more. Chris is passionate about self-learning and uses a variety of tools to help her participants do just that. 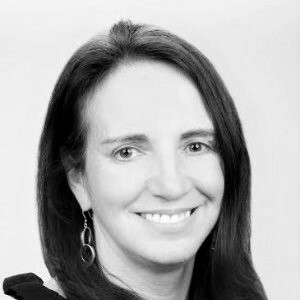 Throughout her career, Chris has partnered with training companies like the institute for health and human potential to deliver powerful team programs, and her international client list includes: Pfizer, Deloitte, Novartis, Fidelity, Columbia Executive Education Center, McKinsey & Company, and Boston Consulting Group. Jennifer brings an extraordinary level of energy to her training and coaching of teams and leaders. She is a distinguished certified trainer and has spoken at a variety of Conference Board of Canada events, as well as delivered Keynote workshops to hundreds of people. With a degree in Adult Learning and Development from the University of Toronto and twenty years of experience, Jennifer’s masterful facilitation skills shine through from start to finish of every learning session she leads. Her work has taken her to four countries, where she has broadened the number and variety of clients and learners she has worked with. In that time, she worked with such diverse clients as Ontario Power Generation, Magna, Unilever, Cenovus, ViaRail, Barrick Gold, KPMG, Stantec, and more. Jennifer is as comfortable in a classroom as she is in a digital teaching environment. Her excitement, friendliness, openness and intelligence are instantly picked up on by all participants, leading to an environment where she quickly earns and establishes trust and excitement about the material they will cover and the lessons they will learn. She excels at identifying the key points in learning, no matter how complicated, and using real-life examples, experience and humor to clarify the “So what?” to the learner. With over eighteen years of professional experience as a learning specialist and facilitator, Gates brings seasoned expertise to her training delivery. Her passion for adult learning is surpassed only by her passion for emotional intelligence. Gates’ ability to adapt her approach to suit different learning styles ensures an interesting and effective training experience for participants of her courses. Often described as engaging and authentic, Gates received her training as a facilitator via Intersol and Langevin Learning Services. She earned her accreditation in Emotional Intelligence from the Institute of Health & Human Potential (IHHP) and her credentials in adult learning from St. FX University and her studies at Walden University. Her past professional work experience as a VP of learning and development has given Gates insight and understanding into the role that leaders play and has allowed her to better understand the challenges leaders face working with people that have different values, needs, and expectations. Her work experience has allowed her to gain invaluable insight into organizational behavior and how to strengthen it at its core. Her commitment to projects and getting the job done led Gates to receive the Canadian Nuclear Safety Commission (CNSC) Excellence Award in 2006, 2010, and 2012. Gates is a two-time nominee for the Michelle Comeau Human Resources Leadership Award which recognizes excellence and leadership within the human resources community. She possesses a strong passion for teaching adults and believes wholeheartedly in the power of emotional intelligence to help leaders, their employees, and their companies to thrive. In Gates’ facilitation, she helps leaders improve their ability to connect with their teams in a way that increases engagement and productivity. An open-minded lover of learning, Gates insists she learns just as much from the adults she teaches as they do from her. Her desire to inspire others and help them reach their full potential by developing emotional intelligence and effective communication skills keep her motivation and commitment strong. Michael joined IHHP in 2006 following a 15 year career in the pharmaceutical industry where he held a number of key leadership roles in some of the most successful and recognizable companies in the business. Over this time, Michael has developed extensive knowledge and experience as a speaker, coach and trainer, specialising in the topics of Emotional Intelligence (EI) and Performing Under Pressure. He has delivered leadership programs to a wide cross-section of industries and professions – from Pharma & Education to Accounting & Financial Services – throughout North America and Asia Pacific. As our Director, Asia Pacific, he works directly with OD, HR and training teams within client organizations to tailor programs that deliver behavioral change in-line with the cultural vision of the organization and unique needs of each individual. Michael’s dynamic, compelling presentations provide audiences with valuable, actionable strategies to help them improve their performance under pressure. Learning “what we should do” is helpful; learning “how to apply that knowledge” is transformational. This is what Michael delivers, and what sets his keynotes and workshops apart. A cutting-edge thinker and practitioner in personal transformation and organizational development, Blair Steinbach has the rare gift of making the complex simple. Spanning three decades, his work has taken him around the globe, working with leaders and managers across industries from small classrooms to groups of thousands. A brilliant storytelling with a compelling presence, Blair’s work is playful, honest, and courageous. Through his own open heartedness, he creates a safe environment for people to try new things, learn and transform. The learning as well as Blair’s authentic presence leave a lasting impression far beyond the classroom. After co-founding Eagle’s Flight where he created and delivered Industry-leading Experiential Learning, Blair’s interest turned to the emerging field of Neuroscience. He joined the team at Institute for Health and Human Potential, where he became the Director of Innovation, crafting and delivering dynamic training programs that remain at the core of the IHHP offerings. In 2012, Blair moved to Dublin Ireland, where he co-founded GreenLine Conversations, travelling throughout Europe to share and expand his design and facilitation skills within the context of cross-cultural communication. Because it is true that ‘home is where the heart is,’ Blair returned to Canada. Throughout his journey around the globe, Blair’s life mission has been to explore one compelling question: “How can I help people get out of their own way, so they can live meaningful, connected lives?” He is thrilled to be home again at IHHP and continue that work. 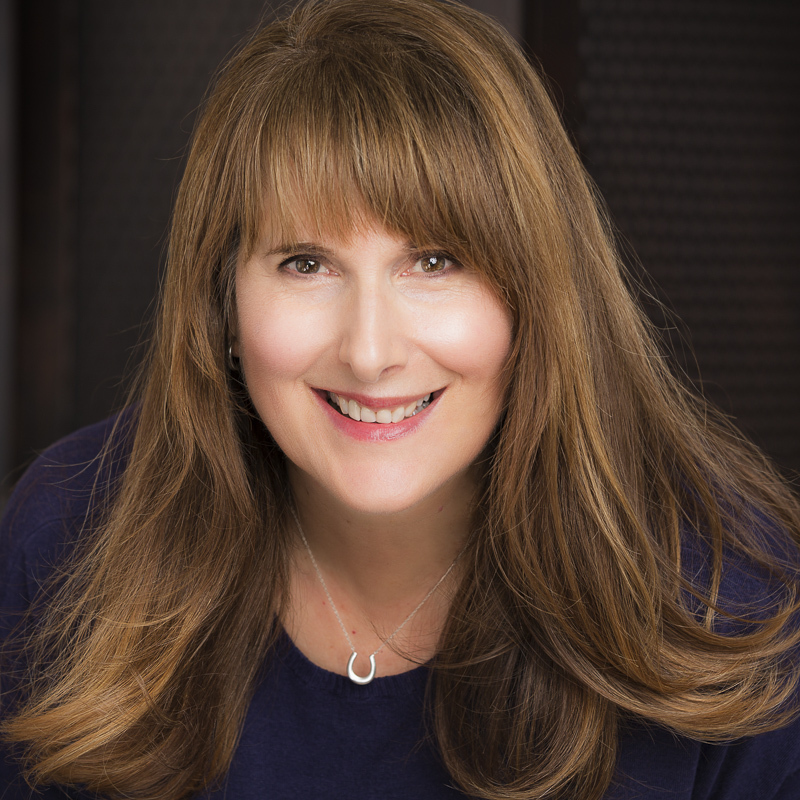 Joelle Hadley is founder of the boutique management consulting firm The Culture Coaches and The Southwest Institute for Emotional Intelligence. In Joelle’s previous business experience she learned quickly that emotional intelligence and building culture is vital to the success of an organization and an individual. She is a certified Enterprise Licensed Trainer for IHHP and is equipped with real-world experience around inspiring results and the potential of people. She’s the former Publisher of The Phoenix Business Journal and holds a degree in Journalism from the University of Missouri. She has 21 years of sales, marketing and publishing experience. Joelle’s style is energetic, engaging, creative and interactive. She has special expertise in communication skills and has inspired thousands across the country with her keynotes, workshops and coaching centered on corporate culture, leadership, life balance and personal excellence. John is a professional Executive, Leadership and Team Systems Coach who supports leaders literally all over the world by helping them develop their Emotional Intelligence, to be ‘pressure ready’, build better working relationships and to communicate more constructively. John directs the corporate coaching services and oversees all of IHHP’s Coaching personnel. John brings a unique set of skills and experience from the fields of human development and health care. 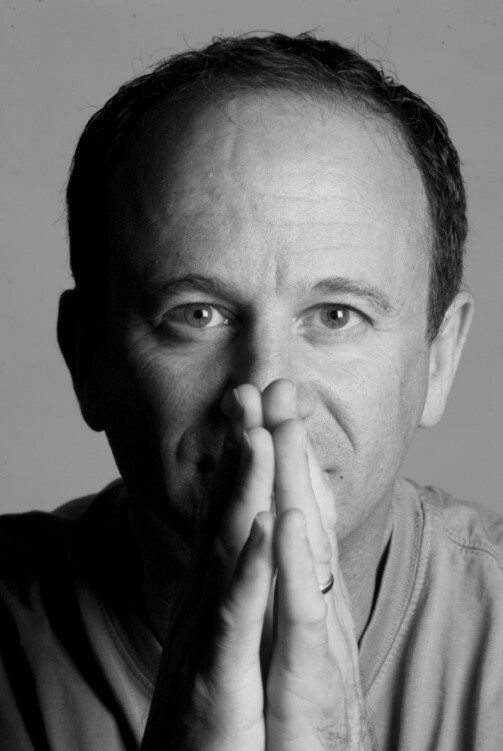 In his coaching practice, John works with individuals, teams and groups to enable people to sharpen their leadership and communication skills through intentional, authentic relationships grounded in Emotional Intelligence and using a system-based approach. As a professional coach, John is a member of the International Coaches Federation and had earned the designations of Organizations Relationship Systems Certified Coach (ORSCC), Professional Certified Coach (PCC), Professional Coactive Coach (CPCC). He has served as consulting Executive and Team Coach for the EMBA Program at Western University as well as volunteer faculty for the leadership Waterloo Region Community Leadership Program and associate faculty for The Center for Right Relationship. Lisa was one of IHHP’s and Canada’s first professional coaches and is known internationally! Lisa has coached individuals and teams throughout her successful career and is valued for her ability to help her clients take their leadership to the next level by applying EQ concepts and strategies has made her a highly sought-after Executive coach. Lisa’s coaching methods have proven effective in what leaders are looking for: ways to inspire, motivate, manage and succeed. Lisa also holds a Master’s Degree in Counselling Psychology from the University of Toronto and is a graduate of the Coaches Training Institute (CTI). She is also a Certified Professional Co-Active Coach. (CPCC). Sharon helps executives, managers and teams from around the world to sharpen their leadership skills and become high performers. She is accredited through the International Coaches Federation, Team Coaching International and The Leadership Circle. By leveraging the concepts of Emotional Intelligence, Sharon’s results-based coaching style helps leaders learn to face change head-on, communicate more clearly and deal more effectively with challenging situations and people. Sharon’s extensive business experience – including sectors as diverse as Construction Management, Information Technology, and Team and Leadership Development – makes her invaluable as an executive coach. Peter works with individuals and organizations committed to fully utilizing their technical capabilities. He has coached individuals and teams around the world and discovered that the vast majority of coachees want to become more effective. 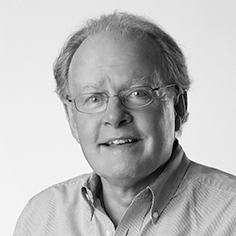 Prior to founding his consulting practice in 1984, Peter gained extensive firsthand experience in manufacturing in Ontario and Quebec. He also led a retail computer training company with twenty-four sites across Ontario. He is a Certified Human Resources Professional (CHRP) and a Certified Training & Development Professional (CTDP). Isabelle is a Certified Professional and Personal Coach (PPCC) from Concordia University in Montreal, Canada and an active member of the International Coaching Federation (ICF). Isabelle est certifiée comme Coach professionnel et personnel agréé (PPCC) de l’Université Concordia à Montréal, au Canada, et membre actif de la Fédération internationale de coaching (ICF). Isabelle is passionate about inspiring individuals through a co-creative process to maximise their full potential and achieve their goals both personal and professional. She specializes in empowering people who are going through challenging situations, related to change or transition, to find creative solutions and alternatives for sustainable change and growth. Isabelle se passionne pour inspirer les individus à travers un processus co-créatif pour maximiser leur plein potentiel et atteindre leurs objectifs personnels et professionnels. Elle se spécialise à habiliter les personnes qui traversent des situations difficiles, liées au changement ou à la transition, pour trouver des solutions créatives et des alternatives pour un changement et une croissance durables. Kim has been coaching senior level leaders and teams in global companies across multiple industries for over two decades. Building on the science of Emotional Intelligence, she works with clients to deepen awareness, practice strategies and gain confidence when facing unfamiliar choices and situations, all while learning to deal with challenges optimistically. She is a member of the International Coaches Federation (ICF) and is a graduate of Coach University’s Core Essentials Program. Kim harnesses training in Organizational Systems (the Hellenger Institute), and behavioral event interviewing (BEI) to help focus on the essence of a client and their story. She’s worked in the energy, engineering, defense, manufacturing and professional services industries. Kim holds an advanced degree in economics, lives in Texas and thrives on outdoor adventure as a catalyst for performing under pressure.